Water Spikes are useful for Plants because they provide water straight to the roots while Drip Irrigation offers water only on the ground. 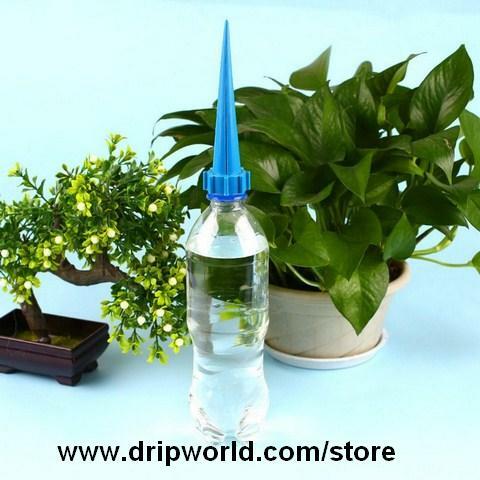 There is a lot of distinction between Drip and water spikes Irrigation. These water spike not only provide water, but they are more useful for offering plant food where we need to protect from sunlight, in that case these spikes offer outstanding things. On Internet we find so much information, but their is a lot of fake news about these water spikes where sellers say they would provide water for a week, but it is wrong, they only offer water for a day or two. 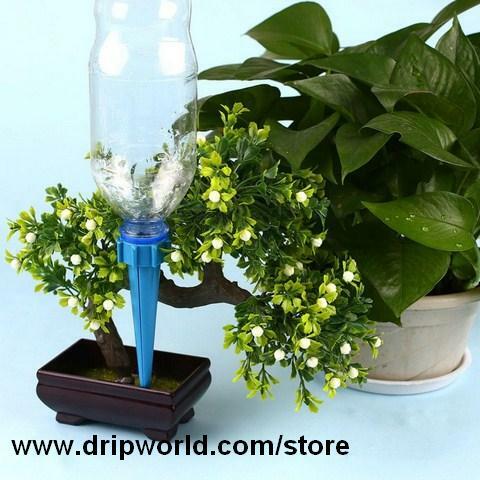 If you are on vacation try automatic Drip Irrigation system from our store that it waters the plant everyday as you set the timer. 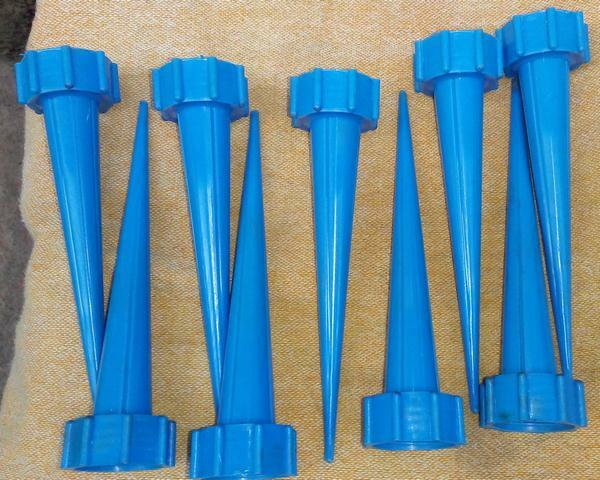 Why you need these Water Spikes? If you have plants that were far to each other where Drip Irrigation system is hard to set up. Irrigating to obtain all at a time is mistake and it will end up plant life, so we need to water when it is dehydrated. 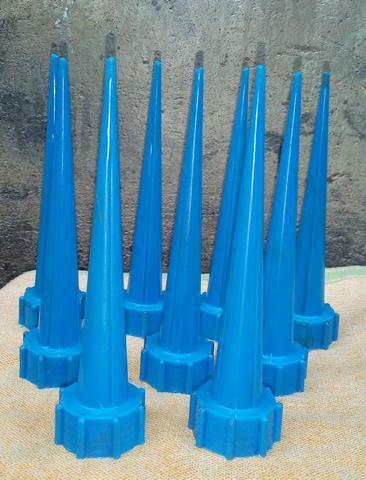 The reason for using the water spikes is to provide sufficient the water service to each place independently. These water spikes save water, time and harvest nice food from plants since it irrigates water directly to roots whenever the plant needed. 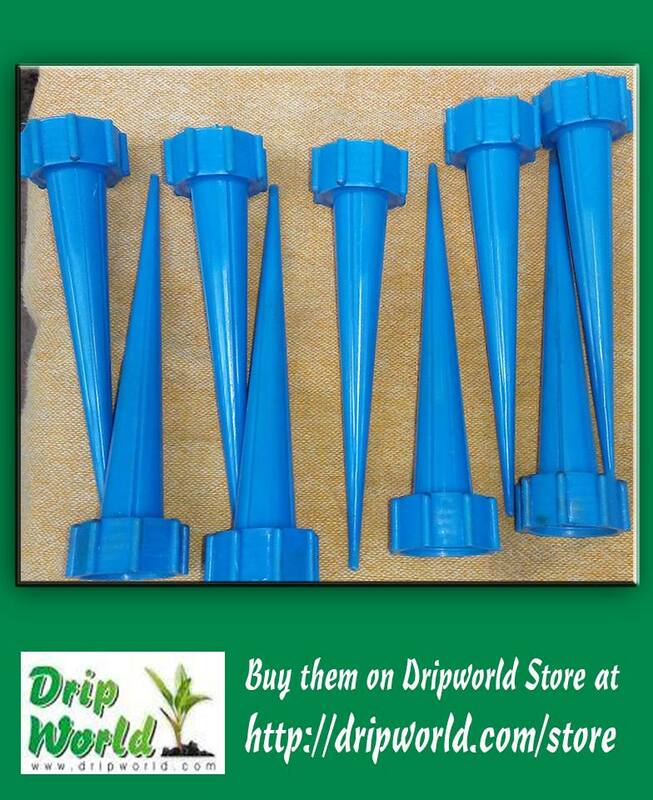 These Irrigating spikes are excellent to keep your vegetation in durability and healthy. Water spikes deliver diluted nutrient fluid directly to the roots of a plant and it also helps to protect from sunlight. Water spikes can provide water slowly just like drippers, but they offer to the roots of a plant into deep of the soil. Water spikes are useful for providing plant food to the roots of plant without wasting anything on the soil or manure. One liter standard water bottle can end up for a day on self watering spike by offering water slowly as we kept it in interval. 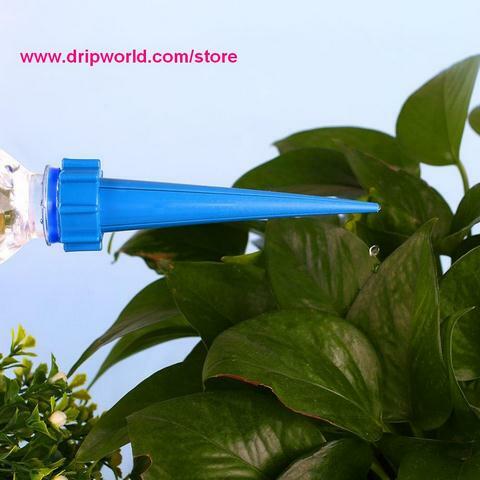 These water spikes useful for trees in order to water for a 2 to 5 days using 5 Liters Can. They don’t come for times as we see bogus information on most sites. They don’t water the plant as whenever we want like Automatic Drip Irrigation System. 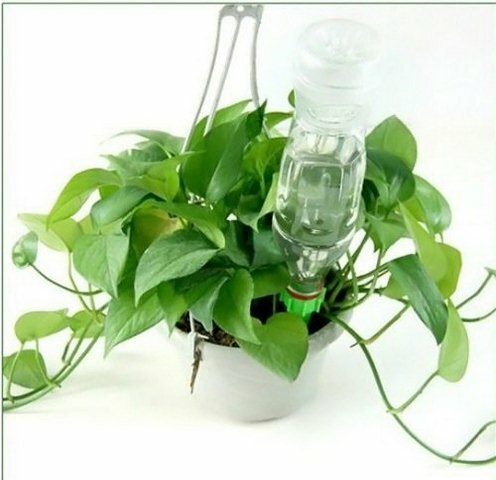 The amount of discharge can be managed using air in self watering spikes while drippers can be managed enhancing the speed. How to use these Watering Spikes? 1. 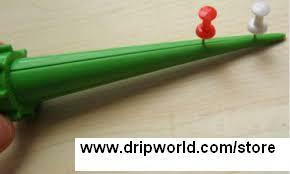 Use a needle to make a hole just after 1cm from the bottom in any one line. Please see attached images below. 2. Make another hole using needle above 3 cm, also think-wise how long you want to insert spike into the soil. If your plant roots are deep, then make hole top of spike. Make sure to adjust the space yourself by know the roots level. It is not mandatory to make holes at certain position. 3. Make sure both holes should be far atleast 2 to 3 cms from each. 4. If the water is not dripping, then keep the spike in such a way so that the top hole should get air. 5. Fill an empty soda bottle with water and place this spike onto it. 6. Make sure the spike should be tight fitted so that the water would not leak. 7. Insert the spike into the soil or manure where you want either in the potted plant or garden.